A few days ago, I trained up to NYC for a quick weekend getaway to give a social media workshop for The Fashion Potential. I say weekend getaway because work to me is still play, lmao. I was super excited to do so but I was dead tired for most of my trip because I had to catch a 5:30 train aka I woke up at 4 AM to get ready. Now, I usually wake up pretty early, but let’s be real, 4’s straight up painful. I think I would’ve been ok if I had a chance to catch up on zzz’s, but I had a shoot, a bunch of business meetings, and hangs with friends so that was out of the question. Luckily, the little rest I got was solid thanks to Yotel. 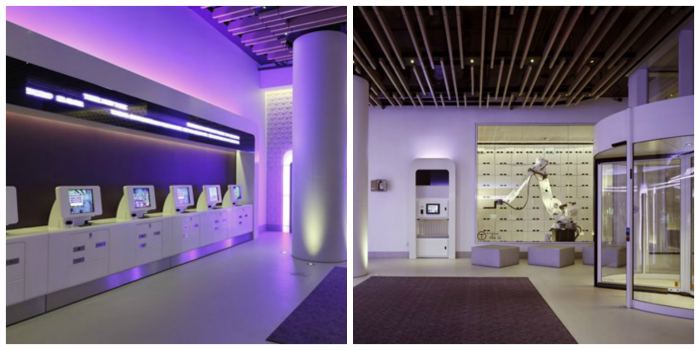 Located on 42nd and 10th Ave., they’re a futuristic hotel with amazing customer service. Now, when I say futuristic, I mean futuristic. Their hotel’s designed like a freakin’ spaceship! Each room is called a “cabin,” and “mission control” is yotel talk for reception. You check in and out by using a self-service kiosk in the Ground Control area, and they even have a baggage storing robot (!!!!) Check in time’s at 3 PM so if you get there early, you store your luggage in Yobot for $2 and get your exploration on. My cabin had an absolutely amazing view – the lights were hypnotizing! If you want to see it for yourself, click here – I shared it on IG a while back. Oh, and on that note, if you’re not already following me on instagram, you should because I’m all sorts of loveable…I hope! Anywho, my cabin was so cute. I took a bunch of pictures for you guys, but unfortunately, the photos didn’t come out well because lighting wasn’t ideal. No worries though, I’ll describe it in great detail for y’all so you can use your imagination to picture everything. It had a convertible queen bed with a technowall and flat screen. The monsoon shower was luxurious. I felt like I was getting a massage while bathing because of the high water pressure. The workstation had free wifi that was ridiculously fast so working here was cake! On top of it all, Yotel offered complimentary coffee and tea 24/7 + free muffins at breakfast time. 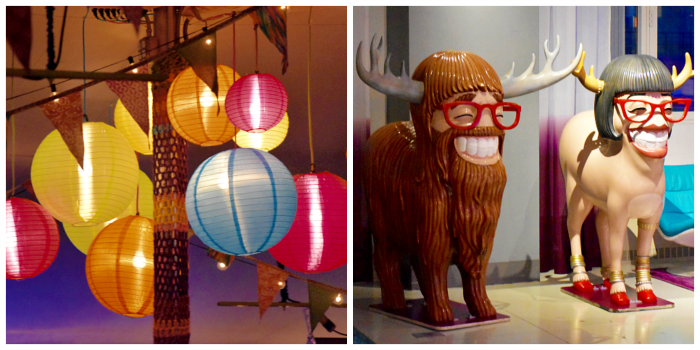 After having an especially crappy meal in k-town – Shanghai Mong was a disaster – I was extra pleased with my meal here. 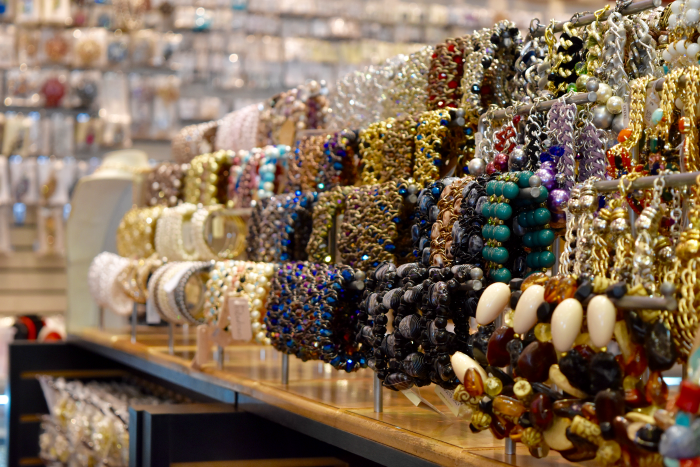 Located in the Theater District, Bea was a do on so many levels. Everything from service to interior was on point! 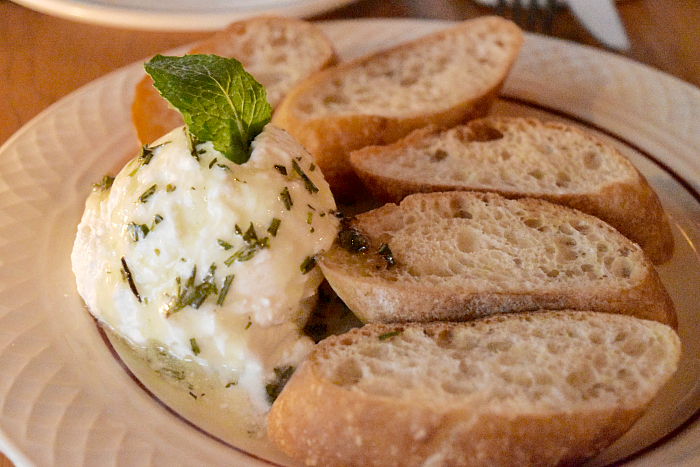 I ordered house ricotta with rosemary honey and sea salt to start – it was freshly made and served with grilled bread. Initially, I thought the combo was a bit strange, but it grew on me FAST. Each and every bite was creamy goodness, and I just couldn’t get enough! For my entree, I got their famous green pasta, and it was ridiculously tasty. If you love pasta (or even if you don’t), you’ll adore this spinach tagliatelle. It was tossed in a rich alfredo sauce and came with perfectly cooked marinated shrimp. After working with the lovely ladies of Lipton PR for years now, I finally had a chance to meet up with them in person. They were just as wonderful as I imagined – all of them were gorgeous, kind, and fun to be around! We went to Le Pain Quotidien and chatted over refreshing glasses of Chardonney. I don’t know if you guys remember, but a while back, I partnered up with Stephanie, the beautiful owner of PS, for a blog feature + a giveaway – click here if you need to refresh your memory! I had wanted to meet her in person for so long – she was amazingly sweet over the phone so I knew that she was a wonderful person right from the getgo. We met up at the Paris Baguette in Times Square and talked over tea. Getting to know her was so lovely! I know this may sound cheesy, but meeting readers, bloggers, sponsors, and the like have been by far the most rewarding parts of my blogging journey. I mean, I would’ve never crossed paths with her otherwise, and she’s a brilliant person who’s kind to the bone. Both her and her boyfriend (the owner of Snakku) are extremely successful, and I’m beyond excited to see what else they accomplish. Yet another brand I’ve worked with for years now. 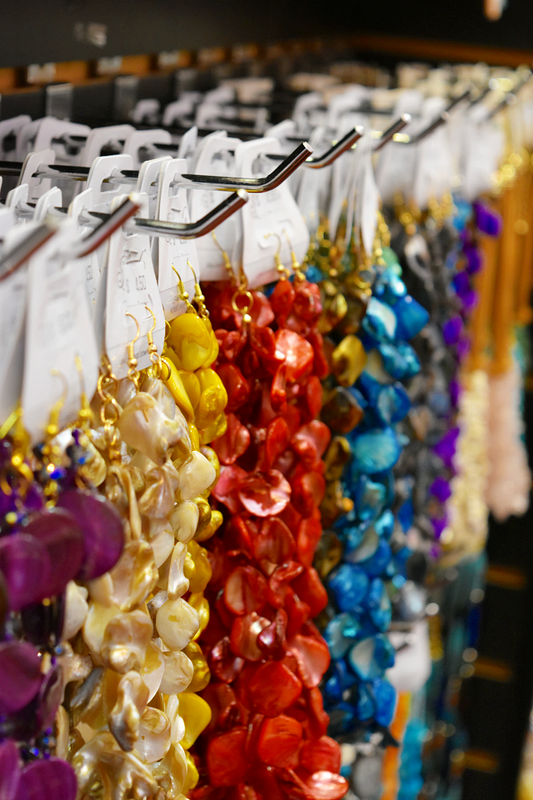 Previously known as Sparkles & Pop, JWholesale is everything. I was totally blown away by their setup in Manhattan. 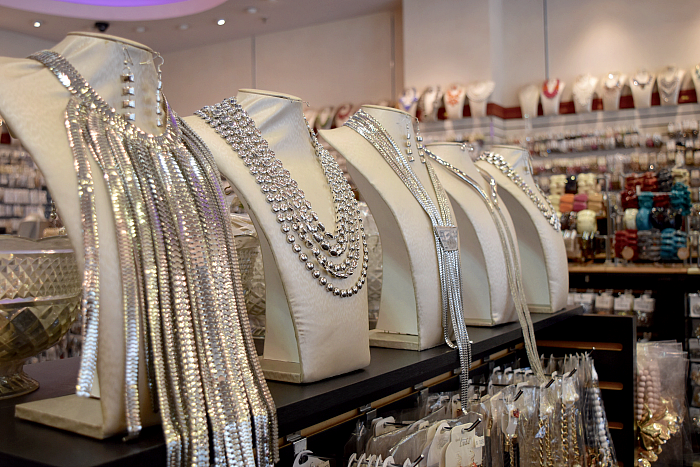 Prices are mad low, and they literally carry all things fabulous – from clutches to hair clips to statement necklaces. My contact, Thomas, was there to show me around, and I was really happy to meet him! After corresponding via email for so long, it was nice to finally put a face to his name. Now, for your sake, if you live in NYC, make sure you check them out STAT. I guarantee you’ll find something you love! 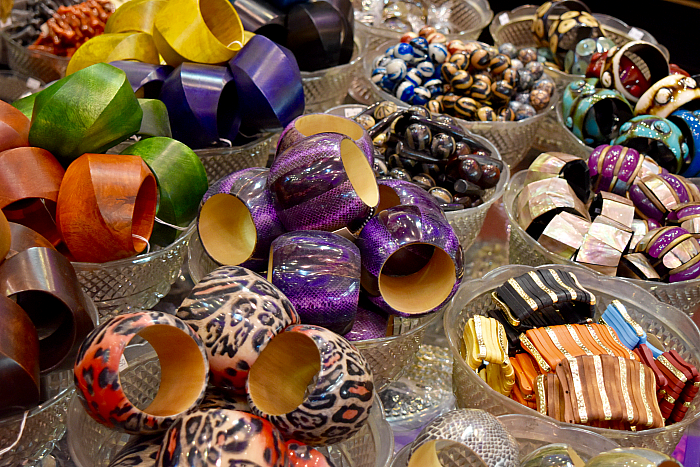 It’s like Willy Wonka’s Chocolate Factory…for jewelry. For those of you interested, and you should be interested, their address is 882 Avenue of the Americas between 31st and 32nd street. You’re welcome in advance! Oh god, you guys have no idea how much I’ve missed CNR. I used to get it all the time back when I lived in the city. I mean, $7 for a huge plate of magical goodness? Uh, I think yes. I met up with one of my oldest friends, Cory Lee (aka kickass violinist , BAMF recording engineer, all in all visionary), and we sat next to the stand and devoured our food before hitting up Maru at k-town. We got a huge bottle of yogurt soju, which was ridiculously nomtastic. I’m not quite sure how much alcohol was in there, but it was tasty so no complaints from my end. Where to start? Dennis Christians is a helluva photographer. I’ve been following him on IG for months now (perhaps years), and his work never ceases to impress. I had a blast working with him, even if my feet are most likely permanently damaged, ha – totally not his fault though, we were scouting locations, and I very stupidly forgot to bring comfortable walking shoes. If you live in the big apple and need a photographer, hit him up STAT. I hope y’all enjoyed today’s travel recap! To read more about my everyday shenanigans, click here.